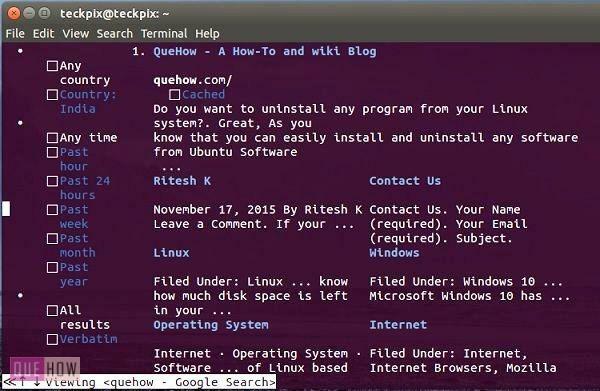 Do you want to know how to use terminal as a browser??. Surprised! Yes, you can easily turn your Linux terminal as a web browser by using w3m. 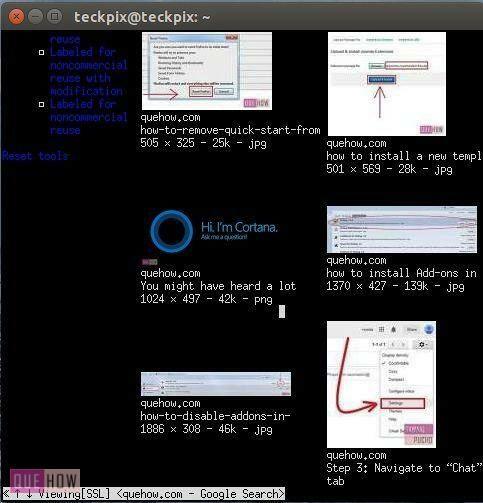 Basically, w3m is a terminal web browser for Debian- Linux-based operating system. 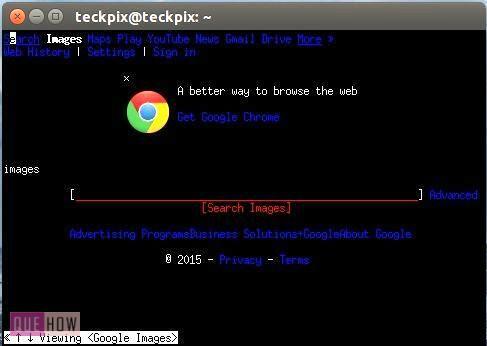 You can perform each and every task of a web browser by using w3m. But w3m only provides textual functionality that means, you’ll only get text output while browsing. If you want to view images in your terminal, then you can use Xterm. 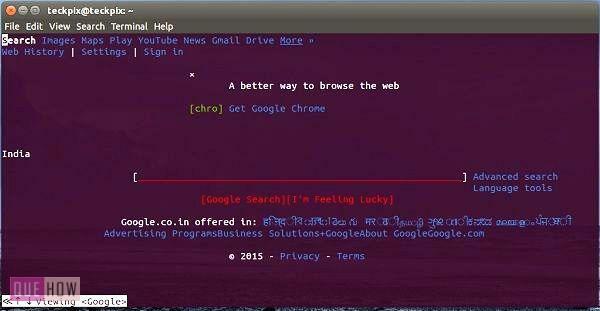 Step 1: First open your terminal by using “Ctrl + Alt+ T” combination or by going to Unity search bar and then type: “sudo apt-get install w3m w3m-img”. This command will install w3m package into your system. Step 2: Now, in order to view any web page let’s say Google.com. Just type: “w3m google.com” and press enter. Step 3: You may see google.com without images on your terminal as shown in the image below. Step 4: Now, by using the arrow keys you can traverse anywhere within the web page. Go to search bar section and press enter button to type any text as I typed “Quehow.com” and then move your cursor towards “Google Search” text or you can press “Tab” key directly and then press enter. Step 6: That’s all about search text, but if you want images in your Google search then you have to use “xterm” application. 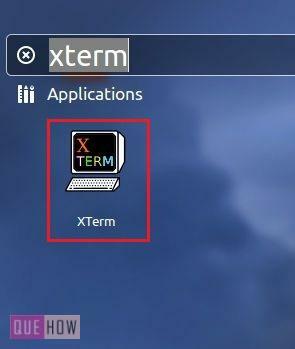 For that go to your Unity search bar and then type “xterm”, you’ll see a xterm icon, just click on that icon to open. Step 7: Similarly type “w3m google.com” and press enter. You may see that your search results are now fetching image by using xterm. Step 8: Now, again search something in google search bar or you can directly search something under Search images tab. Step 9: Finally, after searching you’ll see images of your search results as shown in the image below. That’s all friends, keep reading.